Little Five Points is located just north of East Atlanta. The neighborhood is known for its distinctive street art, vintage clothing boutiques and culinary options. The neighborhood’s name was derived from the intersection situated at the heart of the so-called Bohemian center of the South. Little Five Points was established in the early 20th century. Due to its proximity to Atlanta’s first streetcars, the area became a major shopping center and thrived until the 1960s. 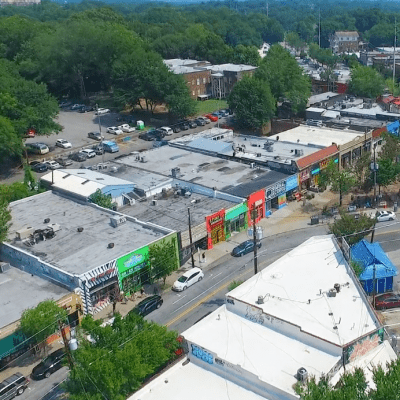 Roughly two decades later, the Little Five Points Partnership was created to revitalize the neighborhood’s retail area. Junkman’s Daughter was opened in 1982. Over the years, the store has become a favorite amongst local artists, musicians, trendsetter and even celebrities. The store is stocked with an array of unique gifts, collectibles, knick-knacks, toys, books and more! Be sure to check out this one of a kind super store. Like they say, you won’t find anything like it anywhere else!